(VEN) - Major retailers such as Big C Vietnam, VinMart, and MM Mega Market Vietnam have developed production-to-sale chains, contributing to ensuring stable outlet for farmers and a proper structure of Vietnamese goods on supermarket shelves. Le Thi Mai Linh, Executive Vice President of Public Relations and Corporate Social Responsibility Department at Central Group Vietnam, said Big C Vietnam not only purchases agricultural products from wholesale centers and cooperatives but also works with farmers to produce and distribute a variety of agricultural products. These include tomatoes, carrots, cabbage, and sweet potato, among others. Big C Vietnam commits to distributing all products it contracts to buy from farmers while helping farmers make produce according to market demand and consumer taste, she said. 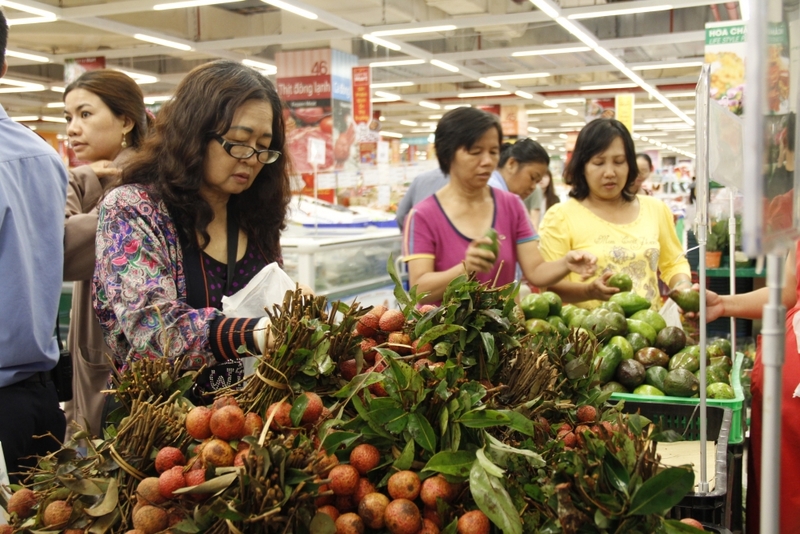 Vietnamese agricultural products account for a stable proportion of all Vietnamese products that represent 90 percent of all goods at Big C supermarkets, Linh said. A pioneer in development of sustainable produce distribution chains, the MM Mega Market Vietnam has set up a vegetable and fruit storage and entrepot station in the Central Highlands province of Lam Dong, a seafood entrepot station in the Mekong Delta city of Can Tho, and a pork entrepot station in the southeastern province of Dong Nai. All are run in accordance with Vietnamese Good Agricultural Practices (VietGAP) standards. MM Mega Market has been distributing a large amount of vegetables and fruits for farmers through its supermarkets nationwide. Another big name, VinMart, distributes a large amount of safe farm produce for farmers through its facilities across the country. 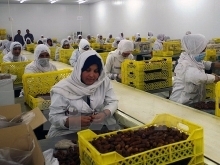 Experts say joining production-to-sale chains is a good and safe solution for both distributors (supermarkets) and farmers. Experts advise farmers not to sell their products right at the garden or orchard at a low price, but transport them to entrepot stations of big distributors in order to minimize cost, increase product competitiveness and shorten product’s time of reaching consumers. Vietnamese produce will certainly find many opportunities in both domestic and foreign markets, Linh said.